Eek! Mice! Before you jump on a chair, grab a baseball bat, or set a lethal snap trap, take a look at these humane mouse trap ideas. Mice might be a bit scary, but there’s no need to hurt them., even if they venture into your home. Find out how to catch a mouse humanely (and then set it free) by using the following clever devices. The PETA mousetrap is small, plastic, and extremely easy to use. Simply place the Smart Mousetrap inside your home, await furry friends, and release them outdoors (no touching required!) once they have been caught. Reusable, reliable, and ready to catch any mouse that enters your home, this trap is a cinch. 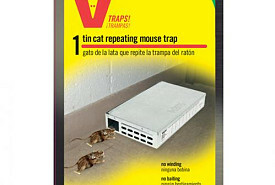 PETA will also include a Humane Control of Mice and Rats guide sheet when you purchase this trap. What better way to catch a mouse than with a cat? Well, a Tin Cat Mouse Trap, that is. Up to 30 mice can enter this trap at one time, and the best part is that an enclosed top means that you never have to see (or touch) any of them. As soon as a few mice scurry into this trap (you'll hear them), all you have to do is bring the trap outside and release them. 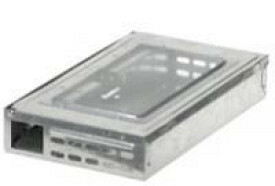 Reuse or throw away this trap as you see fit. Victor also makes corner mouse traps and multiple mice traps. What could be easier? 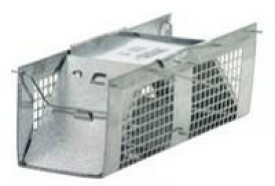 A steel and wire cage loaded with two spring doors ensures a quick and safe mouse capture. Mice are trapped from either end of this cage, so there's no chance of escape. Use this mousetrap inside or outside your home as needed. The Havahart trap can hold up to one pound -- that's quite a lot of tiny mice! It’s ideal for larger rodents as well. When you're ready to empty your trap, simply open up the mesh gate (no contact required). Place some cheese, peanut butter, or other bait inside this humane mousetrap, and wait for mice to enter. Within hours, any mouse within your home will be drawn to the trap, which is quiet, safe, and made to capture multiple mice. You'll love the way that this trap works. Mice might be able to enter this trap, but they won't be able to leave without your help. 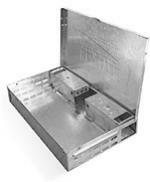 A one-way door allows a mouse to seek out any bait that you’ve inserted. Once a mouse is inside, the trap door must be opened in order to let it out. To do this, simply take the trap outside, tip the box upside down, and watch as mice run away. This cube may be small, but it is entirely effective! This trap is a bit pricier than the others in this list, but animal lovers swear by the TrapMan's trap. 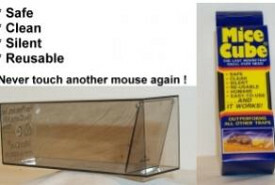 By adding a bit of bait to this trap, you’ll lure mice into a clear plastic box. Once inside, mice cannot leave the box until you set them free -- simple enough, but also humane. Read and follow the mouse trap instructions carefully. Do not leave traps in direct sunlight -- it's hot inside those small boxes! Check traps often -- mice will die if you do not release them promptly. Make a deal with your neighbor -- if you plan to leave your home for a while, make sure that someone looks after your traps on a daily basis. 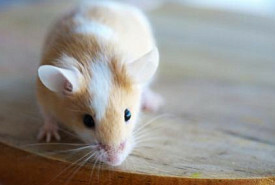 For more humane mouse trap ideas or to handle a large-scale infestation, hire an experienced pest control professional.